Corner of Brackenville (Little Baltimore) & Limestone Rd. Look for the Doggy Day Care Dogs playing outside! Look for the solar panels on the green roof! Nikki started here at Limestone in the fall of 2013. She enjoys taking care of the pets while their owners are away and ensuring they are safe and happy. Nikki started out working in our kennel, and has since moved up to become our Doggy Daycare & Kennel manager. She takes pride in providing a fun environment where all of the dogs can play together. She has 2 dogs of my own and 3 cats, which all enjoy the company of her turtle as well! 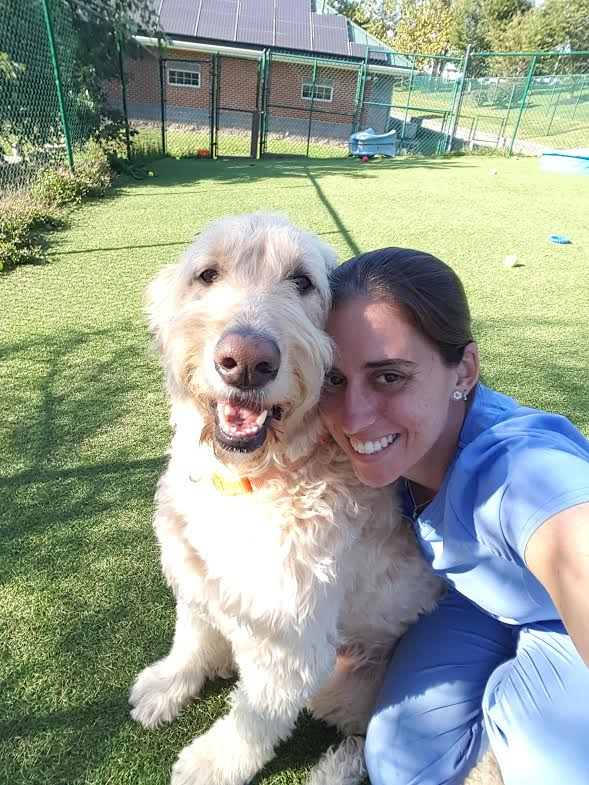 Abby joined our team in 2014 starting as a kennel technician then moving over to doggy daycare! You will most likely see Abby rolling or running around with all of her dog friends at daycare! Abby enjoys to spend time with her family, friends and pets; she has 3 dogs and 6 cats!